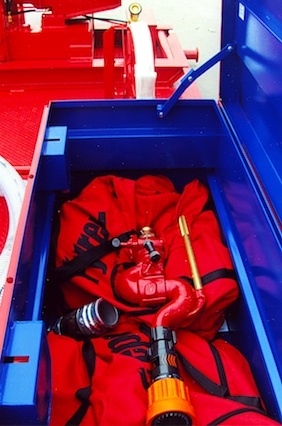 Each unit comes with two complete sets of fireman’s turnout gear. Our turnout gear has a yellow Nomex outer shell. The inner liner has a moister and thermal barrier. Our gear is double stitched and has NFPA 3M reflective trim.